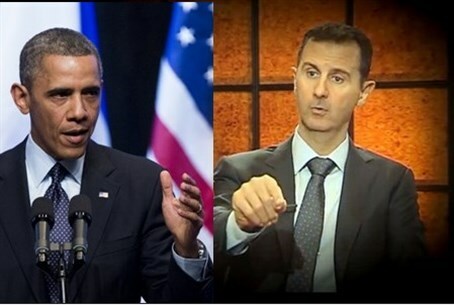 CNN has aired footage from 13 short films shown by representatives of US President Obama to the American Senate, which apparently show the aftermath of chemical weapons attacks by the Assad regime against civilians. The videos were shown to the Senate as part of the administration's bid to gain Congressional support for military intervention in Syria. On Wednesday afternoon, Obama scored his first success in that regard, as a key Senate panel voted to authorize the use of force in response to a chemical attack in Damascus on August 21. The Senate Foreign Relations Committee voted 10-7, with one senator voting present, to approve a military strike in response to the attack last month, reported Fox News. The full Senate is expected to vote on the measure next week. The resolution specifically would permit Obama to order a limited military mission against Syria, as long as it doesn't exceed 90 days and involves no American troops on the ground for combat operations. The vote marked the first time lawmakers have voted to authorize military action since the October 2002 votes giving President George W. Bush the authority to invade Iraq. The measure goes next to the full Senate. During the hearing, US intelligence agents testified that the symptoms seen in the films are a clear indication that the Assad regime used Sarin gas - a deadly nerve agent - against civilian-populated areas in Damascus, in a desperate attempt to oust rebels from suburbs they had been holding for at least a year in some cases. The harrowing films shown by the Obama administration includes desperate attempts by Syrian civilians to resuscitate victims, and footage of piles of dead bodies, many of whom are clearly children and the elderly.